Meeting your complex care needs. Call today. Verity Healthcare offer bespoke and carefully managed nurse-led and clinical care to enable many individuals with complex conditions to live contentedly at home in the Greater London and Essex area. We’re supporting many people because we believe that living with a complex health condition doesn't mean an end to ordinary life in the comfort of your home, and it certainly doesn't mean that residential care is the only option. We’re working with 25 clinical commissioning groups across the UK, and a network of case managers and advocates to effective, responsive and flexible healthcare solutions that deliver maximum choice, independence and the chance to live life to the full. We’ve employed a strong team of nurses with many years of experiences in adult and paediatric care to provide essential nursing care services. We have a Head of Nursing and team of registered and fit-to-operate registered nurses with profound knowledge and expertise in nursing care and huge experience in providing nursing care in the community. Our nursing team possess diverse capabilities and specialisms including ventilation and airway management e.g. tracheostomy and ventilator care, complex bowel needs , epilepsy and gastrostomy management such as catheter and stoma care. Through our dedicated nursing team, we’re able to support a range of clients with high dependency needs and provide a number of interventions to manage complex neurological conditions, congenital disease, skin care regimes as well as acquired brain and spinal cord injury. Our nurses are qualified and skilled at using a wide range of medical equipment to support our clients to manage their conditions and maintain the lifestyles they choose. We’ve always taken a holistic approach to fully managed the services that we provide to ensure that we keep the client at the heart of everything we do. 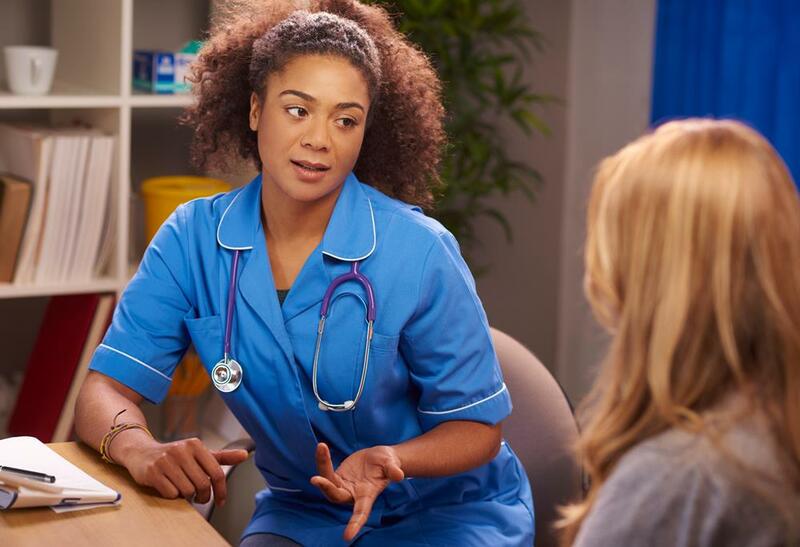 Our expert team of nurses conduct full face to face assessments of each client’s clinical needs and social requirements to develop a bespoke, comprehensive nursing care and lifestyle plan, that doesn’t just focus on current condition, but any changes expected in the future too. We ensure that the initial assessments guarantee a level of transparency for clarity, clinical risk evaluation, and provide a basis for training where necessary to meet the specific needs of each client. This assessment enable us to includes post discharge rehabilitation plans, nutrition and physiotherapy. In addition, we’re able to assess whether any additional mobility aids or adaptations are required for your home and liaise with social services for supplies and fitting. Our team of clinicians conduct full training and ongoing support to ensure continuity and co-ordination of care. We promote person-centred approach to providing nurse-led clinical expertise, where fully trained health care assistants provide complex care services under the supervision of a qualified nurse. We’re focused on identifying and meeting the individual needs of each client by providing 24-hr live-in care or short visits for multiple times a day from a team of nurses or healthcare assistants. We work in partnership with other healthcare institutions and professionals such as medical doctors, physiotherapists, occupational therapists, social services and commissioning team to ensure a holistic support is available to meet the different needs of our clients. Our clinical team understand that things can change with time, and that’s why we’re continually reassessing our clients’ needs to make sure that the support they receive reflects their changing needs. Verity Healthcare have nearly 10 years’ experience of nurse-led care as home care specialists. Our nurses work with a team of health care assistant who are competently training to offer nurse-led care such and help many clients with care services such as transfer and mobility and medication administration as well as meal preparation, completing daily living tasks and offering social companionship. Our nurses are qualified to manage diabetic episodes by insulin injections and blood sugar monitoring. We employ all clinical healthcare staff – nurses and healthcare assistants – directly and conduct regular reviews and ongoing training to ensure you’re receiving the highest quality of care. That’s why we take the time to carefully match our clients to a team of nurses and healthcare assistants, who share our client’s interests and personality – to assure our clients that they’re welcoming someone with the right fit in their home. We are focused on our mission to providing exceptional care and achieving clinical excellence in everything that we do. Contact us to find out how we can help or call 0203 643 5295. Lillian, 13-year old girl has complex medical and nursing needs because of an undiagnosed neurological condition which has resulted in her having epilepsy, recurrent chest infections, central apnoea’s, breathing difficulties, developmental delay, neuro-muscular scoliosis, the need for enteral feeding by gastrostomy tube, communication and mobility problems. Before her condition deteriorated this year and she has respite care stays at a local Children’s Hospice. Her family contact us through a local clinical commissioning group and continuing healthcare team to provide care in her home, the place she loved best. We worked with the family and chose a team of healthcare assistant under nurse supervision and implemented an advanced nursing care plan with input from the community nursing team. Lilian has received exceptional support and this means that the complex care nursing team no longer attends. Lillian is now able to play with her baby sister, something Lillian had always wanted to do.